What is being done and is your business already being affected? TClimate Change is recognised as a global problem and nations are working across the world to reduce their greenhouse gas emissions by 5.2% by 2012. The UK’s target is 34% (1990 emission levels) by 2020 and will increase to 42% if international agreement is secured. The UK is affected by the Climate Change Levy which came into effect on 1st April 2001. This applies to energy used in the non-domestic sector (industry, commerce and the public sector). How can an inverter make a difference? With unstable energy prices that have increased significantly in recent years due to supply worries, it makes sense for industry to focus on applications that are the largest users of electricity. Fans and Pumps make up a significant portion of electric motor applications in industry estimated to be in excess of 50%. When specifying a new motor, it is common for engineers to specify one that is more than capable of doing the job in the worst circumstances. A Centrifugal Fan or Pump is one example of where this theory is usually applied. On such variable torque applications, torque (current) varies with the square of the speed and power in proportion to the cube of the speed, often referred to as “Cube Law”. However, speed reduction is usually achieved by “damping”, akin to slowing a car by braking without releasing the accelerator. By using an inverter to electronically reduce the speed of the fan or pump and applying Cube Law, the power actually reduces by the cube of the speed change. It follows that a 20% reduction in speed equates to a 50% reduction in power. What is a Jaguar Drive? With energy saving payback points typically varying between 12 and 18 months, the IMO Jaguar’s unique FIVE year warranty makes it the only inverter in the world that actually underwrites your energy cost savings. An IMO engineer is able to offer you our free energy review, using IMO’s JAGSAVER estimator application software. Once complete, your potential energy savings can be quickly identified. As an example we have taken a typical 75KW motor on a pumping application running 12 hours a day, 350 days per year with a utility rate of 7.5p per KWh. 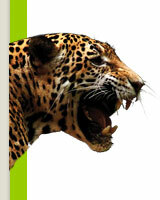 Energy savings offered by IMO Jaguar Inverters often means that capital investment is paid back within months. IMO will work with you and other departments within your business to access and complete the finance process. One of many examples of IMO enabling manufacturers to fight back against the rapidly rising cost of energy was our work with an Italian manufacturer of paper bleaching agents. The company is now benefiting from savings of €1000 per day in production costs following the installation of 8 – 280kW IMO Jaguar Inverters to grinding mixers at its plant in North West Italy. Each of the mixing vessels is equipped with a vertically mounted 250kW/400v/4-pole motor, which drives the grinding paddles through reduction gearboxes. These motors are controlled by IMO Jaguar energy-saving inverters. Working closely with IMO, a local system builder installed the 8- IMO Jaguar VXM280K Inverters. The result is the original mixers operate at a reduced inverter/motor frequency of approximately 42Hz. This cut in running speed and motor current maintains production quality and provides savings in the order of €1000 per day in production costs. Now what do you need to do? Call us now on 0800 0665065 to discuss your energy projects and thoughts. We are ready and waiting to work with you directly to address these issues and to help reduce your costs.